Morecambe has a traditional charm, which makes it a popular resort in Noth West England. We include excursions to the town of Keswick and Hawes. 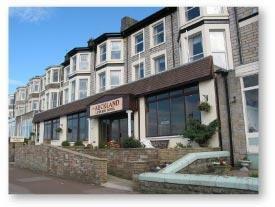 We once again travel to Morecambe and enjoy a short break staying at the Auckland Hotel which always offers a warm and pleasant welcome to our clients. Morecambes greatest natural asset is Morecambe Bay which offers breathtaking views over the sea and land. The seafront promenade is a popular walk adding to its attractions. 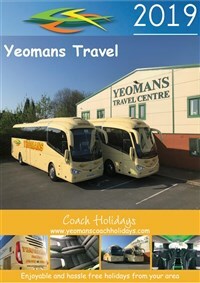 We join our coach and travel through the English countryside to our resort of Morecambe and our hotel arriving late afternoon with a lunch stop enroute. This morning after breakfast we join our coach for a drive through the picturesque Lake District to the northern lakes town of Keswick where we stop for lunch. Afterwards we join the coach and make our way back to our hotel for our evening meal. Today is a free day to explore the resort at your leisure. After breakfast we travel through spectacular scenery to the town of Hawes where we stop at the Wensleydale Creamery where we enjoy a cheese making demonstration and learn its particular history. 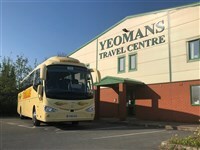 Afterwards we join our coach for the scenic journey back to Morecambe and our hotel. We say farewell to the hotel and Lancashire and begin our journey home. Hotel Details: Auckland Hotel, Morecambe. This three star hotel, run by the same family for over 35 years, is located on the promenade with picture window lounges offering expansive sea views. This traditional hotel is privately run and has a bar with a grand piano, a TV lounge and a patio with views. All the bedrooms are en suite with a television, hairdryer and tea/coffee making facilities and served by a lift, but some guests will have to overcome 5-6 steps in order to access rooms. NB: We would like to advise that there are 8 steps to the entrance to this hotel with no ramp. Meals on a half board basis (Breakfast & Evening Meal). Porterage for luggage on arrival and departure at the hotel. An excursion to the northern lakes town of Keswick. An excursion to the Dales village of Hawes and The Wensleydale Creamery. 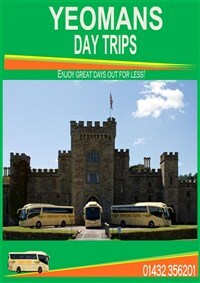 A free day to explore the resort of Morecambe.